Customers seeking replacement capacitors for current and discontinued power capacitors using metallised film and film/foil technology can source directly from API Capacitors. In most cases drop-in alternatives can be provided. API Capacitors specialise in the design and supply of dry film and silicone oil impregnated capacitors using the latest design principles and manufacturing technology. In many applications power capacitors will need to be replaced before the equipment package reaches the end of its useful life. This is particularly true in mid-life refurbishments in the rail traction and marine industries. These refurbishments typically take place after 20-30 years of operation and it is common to find that the capacitors are no longer produced by the original OEM which confronts the user with a serious obsolescence problem. API specialises in the supply of capacitors specifically designed to meet a customer’s application requirements. This capability allows APIC to provide a solution to most obsolescence situations. If you have a requirement for any of, or outside of these brands please contact a member of our sales team. APIC offer an extensive range of snubber capacitors for use in older style Gate Turn Off Thyristor circuits and have seen an increase in demand for these styles of capacitors as a number of the mainstream manufacturers are discontinuing many of these capacitor designs. Eurostar International Class 373 Locomotives – API Capacitors successfully undertook the design and production of an all thin dielectric film capacitor to replace a bank of Siemens Electrolytic capacitors used on the auxiliary converter (hotel load converter) circuits on the trains. These particular capacitors provide all the lighting, heating, ventilation, and other hotel facilities in the passenger compartments. 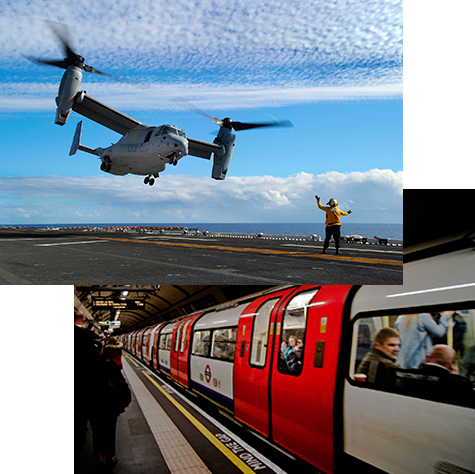 London Underground Central Line – APIC recently completed the supply of replacement filter capacitors on all 92TS rolling stock as a part of the life extension programme and traction systems overhaul to ensure these trains can operate for another 15 – 20 years. Brush Traction – API Capacitors designed and supplied a number of obsolete designs of power capacitors for use in two brand new battery electric locomotives built in the UK for MTR Corporation in Hong Kong based on 1980s designs. API was selected as a specialist manufacturer as we are able to re-create retro fit capacitor designs. The brief was to maintain compatibility with existing rolling stock. All of API Capacitors’ customers benefit from a fully interchangeable product with superior performance, efficiency and reliability. Shouldn’t you get to know us? Enter your details below and we will get in touch. Please fill in the form below and we will get back to you as soon as possible. Alternatively you can call us on +44 (0) 1493 652752 or email sales@api-capacitors.com.